The attorneys in Morgan & Morgan’s Business Trial Group have a proven track record of helping clients obtain significant recoveries in shareholder and partnership disputes. We frequently represent clients in shareholder derivative litigation, including minority owners that have been victimized by shareholder oppression. 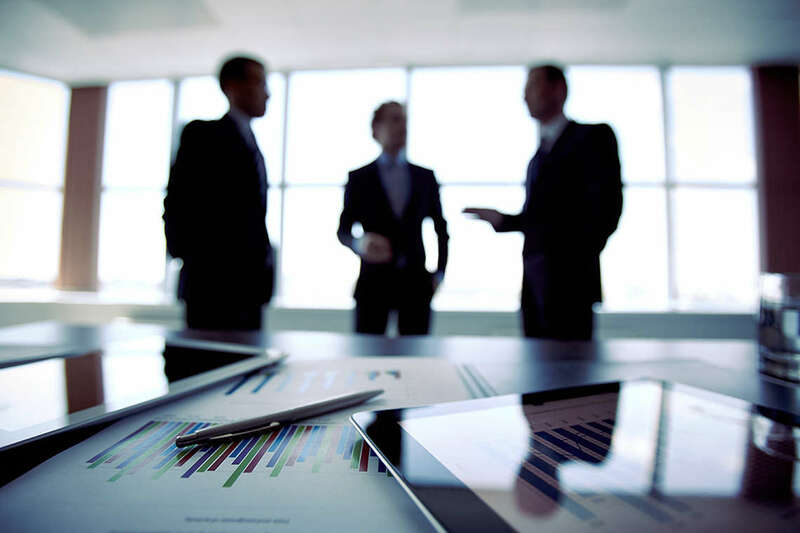 The Business Trial Group is experienced at navigating the complex issues involved in disputes between business owners, partners, and shareholders. If you believe you have a claim arising from a shareholder or partnership dispute, the Business Trial Group may be able to help. We represent clients on a contingency-fee basis, which means you do not pay any legal fees unless there is a recovery in your case. For a free case review, please call us toll-free at (877) 667-4265 or fill out our case review form today. Shareholder (or minority) oppression occurs when majority owners use their control to deny minority owners the right to participate in, or enjoy financial returns from, a company (usually a small, closely-held company). Misappropriating corporate assets for personal use. These are “squeeze-out” techniques designed to improperly reduce or eliminate a minority owner’s interest in a company. What Are My Legal Remedies? For minority owners, a saving grace from oppressive conduct frequently comes from the fiduciary duties owed by the majority owners. As a general rule, majority owners owe a fiduciary duty to run the affairs of the company in the best interest of the company, and not in a manner that favors their own interest over the interests of minority owners. Although minority owners cannot force the majority owner to act fairly, they do have a remedy for the majority owners’ oppressive, “squeeze-out” attempts – a lawsuit for breach of fiduciary duty. The minority owner can request money for damages, dissolution of the company, and, in unique circumstances, seek a court-ordered buyout, in which the owner could recover the fair market value of his or her shares. Any other books and records of the corporation. To exercise these inspection rights, a shareholder must make a demand on the corporation in good faith and for a proper purpose. A proper purpose for inspection is defined as one that is lawful in character, not contrary to the interest of the corporation, and is intended to protect the shareholder’s interests. Additionally, a director of a corporation is entitled to inspect and copy the corporation’s books, records and documents for any purpose reasonably related to his duties as a director. A corporation that fails to comply with a proper demand is subject to court-ordered inspection and may be required to pay the shareholder’s costs and attorneys’ fees associated with enforcing his or her inspection rights. If you believe you may have a shareholder oppression or derivative claim, contact the Business Trial Group today for a no-obligation case review. When partnership disputes occur, you need an attorney to help protect your interests and ensure a fair resolution. The Business Trial Group is experienced at litigating a wide range of disputes, including real estate partnerships, medical partnerships, accountant partnerships, law firm partnerships, and many others. Our familiarity with complex and detailed partnership disputes, and our relationships with respected accountants and valuation experts, allow us to effectively represent our clients. The formation, operation, and dissolution of Florida general, limited liability, and limited partnerships are governed by the Florida Revised Partnership Act and the Florida Revised Uniform Limited Partnership Act. Most partnerships are based on a signed agreement that sets out the terms and conditions of the partnership. A partnership, however, does not require a written agreement and can be established through an oral agreement. If there is a written agreement, the document will determine the partners’ rights, responsibilities, and the terms for withdrawal or dissolution. To the extent the partnership agreement does not provide certain terms and conditions, Florida’s partnership statutes will govern. Under Florida law, a partnership agreement may not restrict a partner’s access to books and records, eliminate the fiduciary duties of loyalty or care, or eliminate the obligation of good faith and fair dealing. If you are involved in a partnership dispute, contact the Business Trial Group today for a no-obligation consultation to learn how we can help protect your rights and investment. Our experienced shareholder and partnership litigation attorneys represent clients on a contingency-fee basis. This means you will not have to pay any legal fees as your lawsuit progresses. Your attorneys’ fees will be paid solely from the amount recovered in your case. The contingency-fee system provides a unique advantage to clients involved in shareholder and partnership litigation. Many of our clients face situations where a partner or majority shareholder is mismanaging a company or withholding the client’s distributions. Often times in this situation, the majority owner is in a stronger financial position due to their control of the company. When clients are forced to pay hourly attorneys’ fees, the majority stakeholder can use their financial strength and the prospect of drawn-out, expensive litigation as leverage to extract an unreasonably low settlement. By providing our clients with a contingency-fee arrangement, the Business Trial Group turns the tables on defendants, which allows us to effectively and efficiently maximize the recovery for our clients. To learn about how the Business Trial Group may be able to help with your contract dispute, please call us at (877) 667-4625 at or complete our case review form today.